Cortisol isn’t always a bad thing. It helps to rouse people from sleep in the morning, and also helps them address and overcome acute stress. Unfortunately, cortisol can begin to wreak havoc on the body, when it remains at high levels, as the result of chronic stress. It can lead to weight gain, gastrointestinal problems, depression and chronic fatigue. 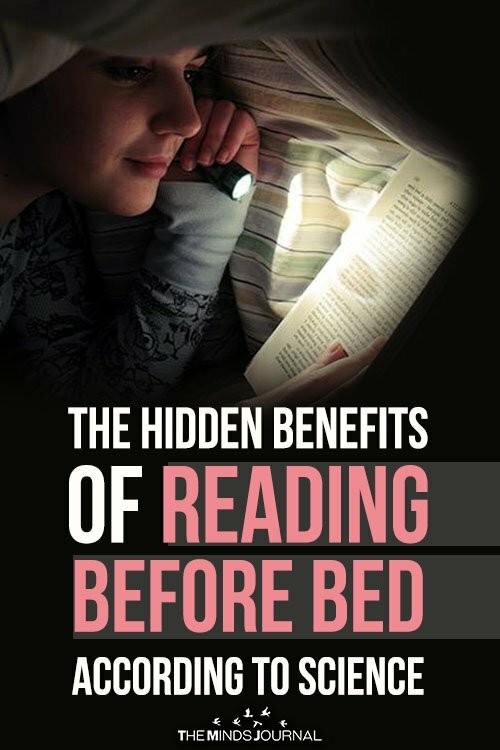 Reading before bed can help to lower the body’s cortisol levels by reducing stress. The result? A body with lower levels of cortisol is more likely to sleep soundly, and thus cope with the following day’s stressors more calmly. Emotional intelligence is a key to developing healthy relationships, but many people forgo developing their empathetic responses. Research published in the journal Science, however, indicates that the development of empathy is easier than many might think. If you read literary fiction before bed, you’re more likely to understand others’ emotions and mental processes, which can improve the quality of your relationships. What book do you plan to pick up tonight?